Here are 11 questions or problems our readers asked us. Some of these questions we have provided solutions but some are simply explanations as to why certain problems happen. We are looking forward to answering as many questions as possible and we assure you there are a lot of posts like this to come. We have received thousands of emails from our readers already and majority of those were asking how to solve certain issues. 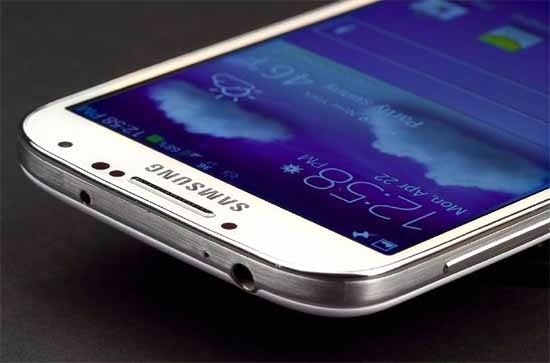 In this post, we will address 11 Samsung Galaxy S4 problems. Please know that our answers aren't simply the fruit of our imagination, they are based on working solutions. We know a lot of Android developers, including XDA Developers, who know Android in and out and some of the answers here are from them. Question: So I have noticed on the S4 Galaxy Sprint model that when you perform a reset or power cycle the WiFi and Bluetooth icons don't come back on. Multiple resets need to occur before both icons decide to work. Have other S4 Galaxy users complained of this issue. Answer: Well, it means it also takes that long before the Galaxy S4 could be fully loaded. Devices as powerful as it is take time to load all those services, processes, features, and its native apps. If the loading takes unusually long, it could mean the device's performance deteriorated. You must first bring the phone to its original state so it could load all core services, including Bluetooth and WiFi, faster like before. A factory reset could help you. Q: I am having an issue with my new (less than a month old) S4. When someone sends me a video via text messaging, the phone gets stuck in the downloading process. It simply never gets past the "downloading" box. Would you have any idea what's going on and how to fix it? A: It means the phone cannot download the file and it could because of several factors; problems with mobile data, problems with messaging app, problem with the Download Manager service, the list could go on. We recommend you make sure you have good mobile data service then try sending a picture first and see if your phone could download it just fine. Might as well clear the messaging data and cache. Q: Recently I brand a new memory card for my Samsung Galaxy S4. Just yesterday I received a message to say the memory card has been unexpectedly removed even though the card is still sitting inside the phone right now. I tried taking the card out and putting it back in but the same problem still exists. How do I fix this problem? A: Possible causes to this problem are the microSD card was corrupted or has been damaged. Take the card out and let your computer read it. Two things could happen, the computer might be able to read from it so you could backup all your data, or it would tell you the card needs to be formatted. Either way, it's a sign you need to get a new one. Q: While driving mode is enabled and using a Bluetooth earpiece both my partner and I experience the same problem: If you are in the middle of a call when a second call comes through (call waiting) and you attempt to put a call on hold you either lose both calls or more annoying yet the S4 will switch you over when you place the first call on hold but it disconnects the Bluetooth earpiece and you've got to actually pick up the phone and use the built in mic and earpiece on the phone itself. This is both annoying and dangerous. Any suggestions on how to fix this would be greatly appreciated. Thank you. A: It sounds like a Bluetooth problem to me but I'm not saying it's because of the Bluetooth hardware that has issues. It could be the service that runs the Bluetooth functionality on the phone that fails. When Bluetooth unexpectedly un-pairs in the middle of something, it is always easier to blame it to the hardware. But try to see if there's an available update for your phone, perhaps that could help fix the problem here. Or, you might as well compare the specs of your Bluetooth device with that of the Galaxy S4; the phone is compatible with BT v4.0 with A2DP, EDR, and LE. Q: I have a brand new S4, actually it’s the second one, and both have the same problem.. The alarm feature will work if set for the next few minutes, but will not work if set for overnight or later. Any ideas? I guess I need to go back to T-Mobile and try a third. A: Sounds like a clock problem to me. Try to go to the Application Manager, under the All tab find Clock. Force Stop it first, then Clear Data. This procedure would delete all your alarms and your other preferences and data but it oftentimes fixes this problem. Your best workaround is to find an alternative clock from the Play Store and use that instead of the stock clock. Q: Recently I bought the Galaxy S4 smart phone which I have also been enjoying how ever one thing still bothers me about the phone I have noticed the I'm using a lot of miscellaneous memory 6.5 gigs or so and about 5.5 gigs of system memory. I would like to know what all the miscellaneous memory is and can I get rid of it? and if I can how? I have went to my provider AT&T and they have no answer for me I went to a Samsung rep at best buy he tells me its because of todays new smart phone can do more well I'm not really sold on that. I have checked my friends phones one of them have the same issue as me and the other two are using 800mb or so please help? A: Because of the "cool" features of the Samsung Galaxy S4, it has to sacrifice a considerably huge amount of storage space not to mention your carrier's personalized apps. There are apps you could actually uninstall but as far as core services are concerned, you better leave those alone or you would end up messing up your phone. Here is a list of bloatware you could uninstall from your Samsung Galaxy S4. Q: Hey, I have recently bought Samsung Galaxy S4. It is performing well except for small lags in gaming. Lags last for 3 seconds which result in game loss. Please help. Thanks . A: The Galaxy S4 is a powerful phone and last time I checked almost all apps and games from the Play Store are compatible with it. So, for this problem, I think the issue is with the app and not with the phone. Try to see if there's an update for the game and install it, otherwise, you should uninstall and reinstall it and see if that solves the problem. Reporting the issue to the developer could help, although it would take months before they could address it. Q: I am facing a very frustrating problem with my new GS4-I9505 device. When the device is locked or the screen is off I don't receive any notifications from my Facebook, Twitter or WhatsApp apps. This happens mostly on mobile data. Is there any solution to this problem? Anything that I can do to make it work? Thank you and hoping to hear from you soon. A: It's difficult to determine for sure if you have a problem here since you don't exactly know the exact time notifications come. Another thing that could affect this is the network itself but the best course of action is to make sure all syncs are turned on and mobile data is enabled. Q: Hey I have a problem I was updating Cyagnogenmod 10.2 on Galaxy S4 international and I left home without WiFi and came back home and it was still downloading. When it said click reboot it went into recovery mode and had only an Android standing there with loading bar underneath it was doing it for ages so I added a new custom recovery and did everything trying to restore back and install new roms just get stuck at boot were it says Samsung GALAXY S4 GT-19505 and doesn't change from there. What can I do? A: I always install custom ROMs on my phone and oftentimes I get into boot loops. What I do is clear the Dalvik Cache and everything would be fixed. Have you tried clearing the Dalvik? If the problem couldn't be resolved, then I suspect there's some problem with the flashing or the ROM you're using. Q: I'm using Samsung Galaxy S4. I want to ask you, why my Google Play Store always ask me to update the same application up to 2 or 3 times for the same version? For a example, tomorrow I just update my LINE Messenger to version 3.9.1 & already success, and then, today the Google Play Store ask me to update it again for the same version 3.9.1 too. Why it can be like this? Not only this time, already so many time & so many application that I update up to 2 or 3 times for the same version. Can you give me a solution? Thank you. A: Have you tried clearing Cache and Data of the Play Store? Basically, this problem happens because the phone may still be reading older cached data that says certain apps need updating. You need to clear those to force the phone and the app to cache newer set of data, although you would need to setup your account afterwards.